The Mayor of Moscow Sergey Sobyanin and the Mayor of Helsinki Jan Vapaavuori signed a cooperation program between the two cities for 2018-2021. The cities will exchange experience in various services used in the winter, stimulating the emergence of new start-ups and technology parks, improvements in the quality of services, and will cooperate in the spheres of tourism and education. 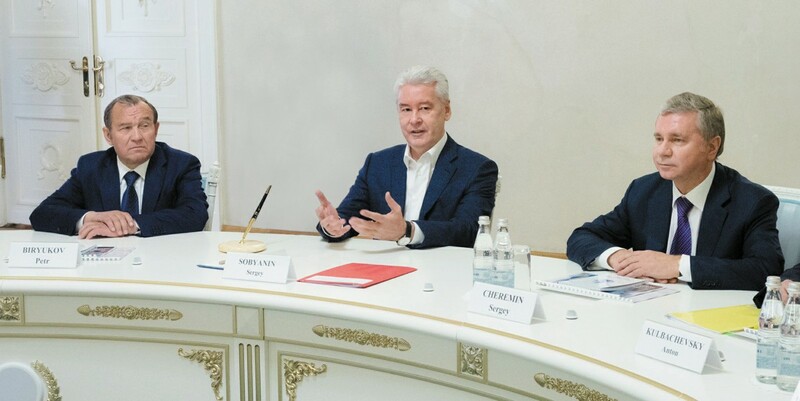 According to Sergey Sobyanin, the capitals of Russia and Finland have a lot in common – they are both northern cities that have to deal with similar issues. “I hope that singing the program will be the beginning of a new stage of cooperation between Moscow and Helsinki, and will take it to a new level,” he said. Jan Vapaavouri confirmed that working with Moscow and other Russian cities is a priority for the City of Helsinki. He also thanked Sergey Sobyanin for the warm welcome and hospitality. The two sides agreed that key areas of cooperation between Moscow and Helsinki over the next two years will be improving the quality of school education and state services, the exchange of experience for various services operating in the winter, the development of tourism and transportation ties between the capitals, the integration of Smart City technologies, the establishment of technology parks, and stimulating the growth of the startup sector. Prior to the meeting, a protocol of friendly relations and cooperation was in effect between the two cities. It was signed seven years ago, on May 17, 2011, by Sergey Sobyanin and the former Mayor of Helsinki Jussi Pajunen. The same year, a Moscow-Finland working group was formed, which operated within the scope of the Russian-Finnish intergovernmental commission for economic cooperation. Finland is an important trade and economic partner for Moscow. In 2016, trade turnover between Moscow organizations and Finnish counterparties grew by 22.1 percent, reaching $1.19 billion. Moscow imports electric cars and equipment, paper and cardboard, paper products, land transport equipment, heavy machinery, plastics and plastic products, pharmaceuticals, and other products from Finland. By October 2017, the volume of total Finnish investments into the Moscow economy amounted to $99 million – that’s 41st place among all foreign countries. There are a total of 90 enterprises with Finnish capital registered in Moscow. In terms of this number, Finland is in 16th place among foreign countries. According to information from the Border Service of the Russian Federal Security Service, 19,500 Finns entered Russia through airports in Moscow in 2017, which is 4.3% more than in 2016. 67,700 Russian citizens travelled from Moscow to Finland (a 22.9 percent increase). The international forum “Smart & Clean Technologies for City Solutions: Moscow and Helsinki” took place in the Russian capital at the Hotel National within the scope of the 5th meeting of the Moscow-Finland working group of the Moscow Government and the Ministry of Employment and Economic Development of Finland. The forum was attended by the Minister of the Moscow Government and Head of the Moscow Department of External Economic and International Relations (MDEEIR) Sergey Cheremin, Mayor of Helsinki Jan Vapaavouri, State Secretary of the Ministry of Employment and Economic Development of Finland Petri Peltonen, Ambassador Extraordinary and Plenipotentiary of Finland to Russia Mikko Hautala, and other officials. In 2017, there was a record increase in Moscow’s fixed capital, which reached 25 billion euros, and the volume of accumulated foreign investment into the city’s economy was over $160 billion, Sergey Cheremin said during his speech at the forum. “In 2015, after the sanctions against Russia were introduced by the US and the EU, we saw a drop in foreign trade turnover across a number of sectors, and this included trade turnover with Finland,” he said. “This was also the case in Moscow. Last year, we noticed positive changes: Moscow’s foreign trade turnover with Finnish partners increased by 22% and amounted to about 1 billion euros,” the head of the MDEEIR continued, “This is a really good number. We hope that this year will be positive as well. Finnish entrepreneurs have been working in Moscow for a long time. Over 100 Finnish companies are engaged in different sectors of the economy, from construction and raw materials processing to healthcare and education, the Minister pointed out. “Moscow made a big step forward in terms of the development of the city environment and improvements to conditions for doing business. We’ve also successfully tackled the challenge of attracting foreign investment. It’s my pleasure to point out that Finnish companies have made a very significant contribution to our rapid development. The economic and cultural collaboration between the two capitals is the main vector of our long-term cooperation,” Sergey Cheremin said.